Premier Dalton McGuinty Resigns After Nine Years. Nine years of shoving UN Agenda 21/Sustainable Development down the throats of unsuspecting Ontarians. Dalton McGuinty and the rest of the criminals that call themselves politicians should go to jail for Fraud and Treason. The heads of all NGO’s should go to jail as they are guilty of the same crimes. The heads of most if not all Charitable Foundations should go to jail as they to are guilty of the above crimes. Did I mention the Corporations……..Jail the Bastards. The masterminds of the UN/World Government go to the gallows…..jail is too good for them. 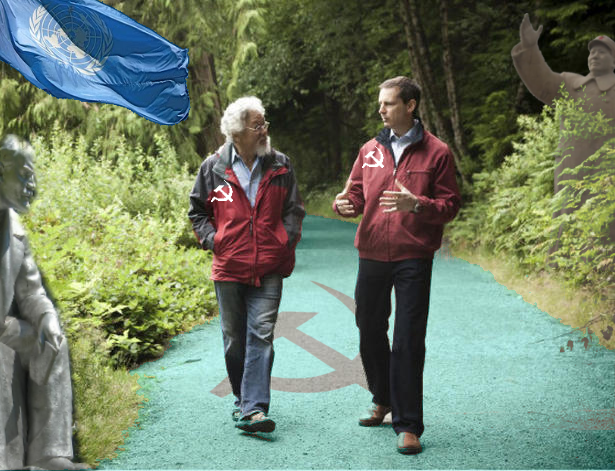 Dalton took some time for a walk in the park with Comrade Suzuki as they discuss what else they can do to destroy Canada. John Gerretsen, Attorney General of Ontario, signed this letter of intent while he was of Minister of the Environment for the Province of Ontario. I’ll let you decide if this is a case of Treason. Personally, I think the letter speaks for itself. This Statement of Intent is concluded between the United Nations Development Programme (“UNDP”), a subsidiary organ of the United Nations, an intergovernmental organization established by its Member States, and the Province of Ontario (hereinafter referred to as “Ontario”). UNDP and Ontario are hereinafter referred to as the “Parties”. UNDP serves in many respects as the operational arm of the United Nations at the country level and works with partners in numerous countries to promote sustainable development, eradication of poverty, advancement of women, good governance and the rule of law. UNDP, represented by the Bureau for Development Policy, is interested in enhancing its development activities in climate change at the sub-national level. Ontario is taking measurable steps to reduce greenhouse gas emissions and build an innovative, prosperous and sustainable low-carbon economy. Ontario has introduced comprehensive new climate change initiatives — among the most ambitious and forward-looking of any jurisdiction in North America. These include: a phase-out of coal-fired electricity, promotion of renewable energy and conservation, an aggressive innovation agenda to support research and development in green technologies, historic investments in transit projects and energy efficient infrastructure that are creating thousands of new jobs, and work on climate change adaptation. The Parties wish to cooperate in areas of mutual concern to enhance the effectiveness of their development efforts, in particular with respect to reducing the negative impacts of climate change. The Parties recognize that climate change will require an unprecedented level of collaboration and cooperation among all levels of government around the world, and that to solve climate change, regional governments, including federated states and provinces, must incorporate the global dimension into their existing strategies and actions. 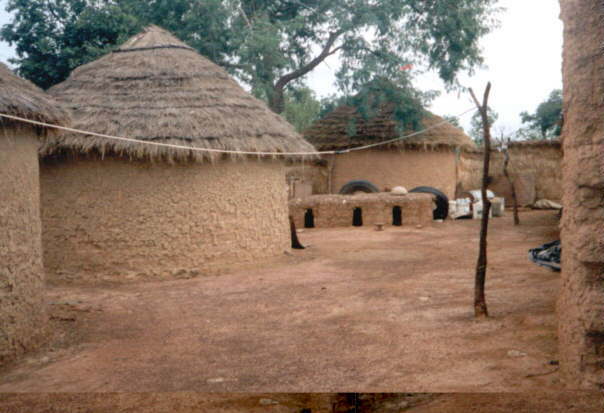 Ontario has expressed its commitments to tackling climate change at the sub-national level and wishes to work with UNDP in carrying out projects in the framework of the Territorial Approach to Climate Change program to assist sub-national governments in developing countries to implement low carbon development strategies. On the occasion of the Global Leaders Summit on 15th December 2009, UNDP and Ontario agree to work together to address climate change. The Parties will explore possibilities to enter into a Memorandum of Understanding in order to establish their partnership in this program. The Parties recognize that this statement is strictly limited to the scope described herein above and does not entail any further commitments on either Party.